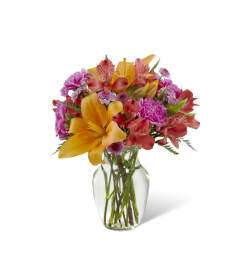 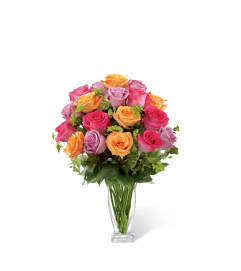 FTD® proudly presents the Better Homes and Gardens™ Color Rush™ Bouquet. 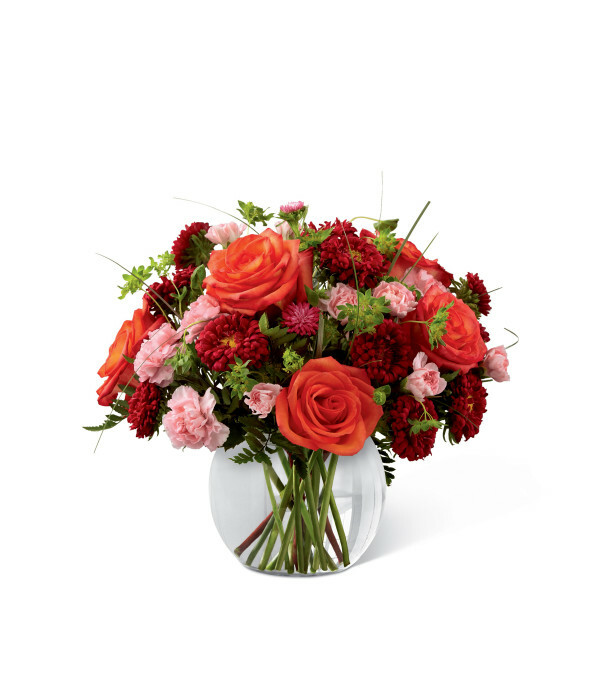 A sweet symphony of bold color, this bouquet of orange roses, red matsumoto asters, pale pink mini carnations and lush greens create an impressive statement. Arranged in a clear glass bubble bowl, this bouquet will spread smiles at every turn.